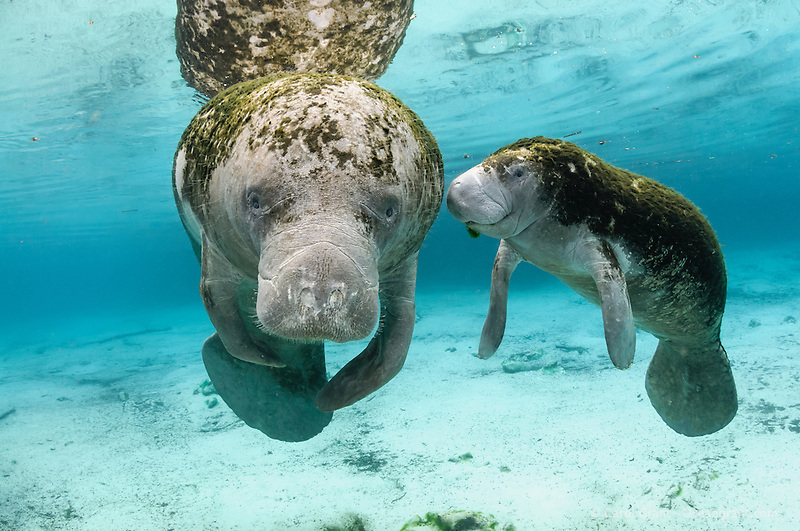 On February 23, 2015, a very small and skinny mother manatee swam into Three Sisters Springs along with her young male calf. A Manatee Watch volunteer at Three Sisters Springs noticed and asked me about the pair. I got a series of underwater pictures for ID to send to researchers and officials at U.S. Fish and Wildlife. Feb 23 2015 A very small and skinny mother manatee and her young male calf. Note deep vertical chest dent. Three Sisters Springs, Crystal River, Florida. Since our Florida weather warmed up so fast and dramatically, I haven’t seen or heard about them since.